Maryland Sea Grant produces a wide range of publications — reference books, guides, reports, fact sheets and periodicals — as well as short and feature-length videos. You may order copies of these materials or download pdfs through this bookstore. Academic Reprints: The research we fund results in many journal articles and reports from a wide range of academic publishers. These titles are listed in the bookstore for information only — we do not provide copies of them. To access academic reprints resulting from our funding, visit your university library or the National Sea Grant Library. 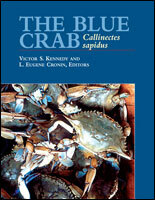 An essential resource for researchers, students, and managers, this book is the first truly comprehensive reference work on the blue crab, Callinectes sapidus, a significant U.S. commercial and recreational species. More. . . 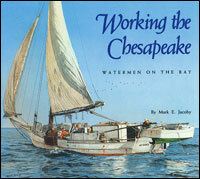 Many of Maryland Sea Grant's materials are provided free or are available on the web. Others we sell to recover costs that allow us to keep valuable publications in print and videos available. When you order our materials you are supporting science and education focused on the marine environment and the Chesapeake Bay. Click here if you have questions about ordering or shipping. Note: Academic reprints are not available from this bookstore; they are listed for information purposes only. 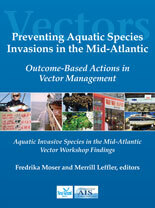 You can find copies of this material in your university library or at the National Sea Grant Library.